Acrylic is used for the front faces of channel letters. It comes in many colors so you can have red letters, white letters, blue letters, green letters, etc. Any color can be achieved by combining vinyl and acrylic. 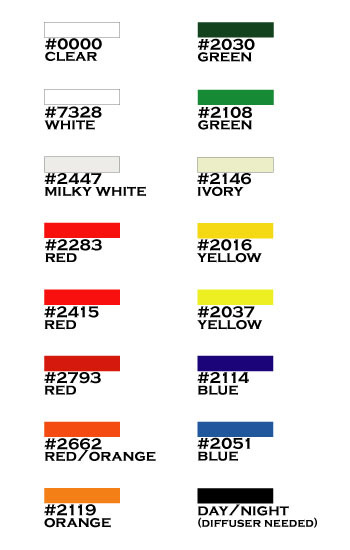 Here are the most popular colors. © 1985-2019 Dollar Signs and Graphics is a division of Dollar Signs & Companies, Inc.